Gates to protect motorists from flooded roads on the Somerset Levels were used for the first time at the weekend. 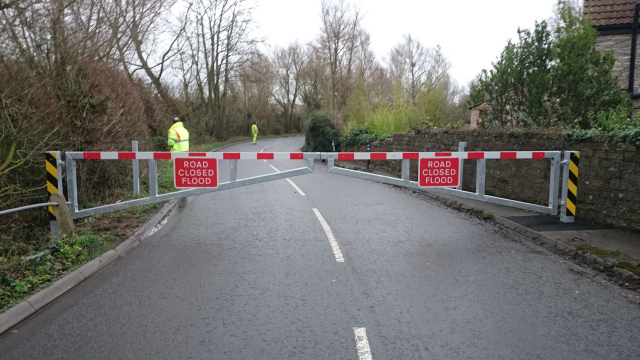 Emergency road closure gates were recently installed at eight locations on the levels. They are for use in place of temporary ‘road closed’ signs to stop vehicles driving through flood water and potentially getting stranded – a situation which happened numerous times during the winter 2013/14 floods. On Sunday night the gates between Athelney and East Lyng at Cutts Road were closed and locked for the first time and will be reopened once the road is deemed safe. Decisions to shut and open the gates are made by police and highways, working on information about water levels provided by the Environment Agency. Local residents, landowners and key services are being provided with the lock combination to allow essential access where needed. 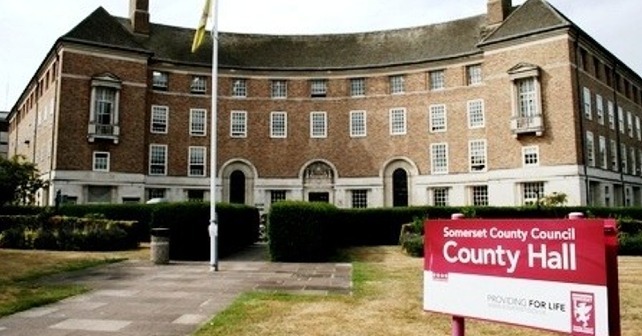 “A huge amount of time and money has been invested in reducing the likelihood and duration of floods in Somerset, but no-one can say there won’t be flooding in Somerset again. During the major floods of 2013/14, there were numerous reports of cars being stranded after ignoring road closed signs and having to be rescued by hard-stretched emergency services. Keeping people safe is a priority and these gates are a simple but effective way of doing that.